Stöðvarfjörður is about 630 km from Reykjavík. In order to get from Reykjavík to Stöðvarfjörður we recommended you to book a flight from Reykjavík to Egilsstaðir, but you can also take a bus or rent a car. 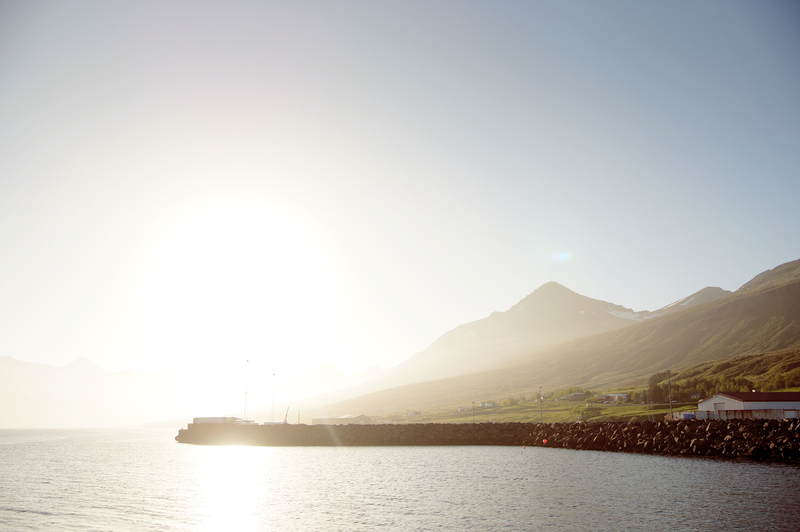 If you arriving with the Ferry you will land in Seyðisfjörður, about 98 km from Stöðvarfjörður. When you fly into the country your international flight will land in KEFLAVIK International Airport. From Keflavík Airport is about 1 hour bus ride into Reykjavík City Centre. The Flight bus will stop at BSÍ (Reykjavík Bus Terminal). BSÍ is only a short distance from REYKJAVIK Domestic Airport. From that airport you can catch your flight to EGILSSTAÐIR Domestic Airport. We will pick you up there on your arrival. If you choose to take a bus you can catch a bus from BSÍ as well. We recommend the north route going from Reykjavík to Egilsstaðir. We will then pick you up in Egilsstaðir on your arrival. If you arrive with the Ferry in Seyðisfjörður take a bus from there to Egilsstaðir and we will pick you up there on your arrival. 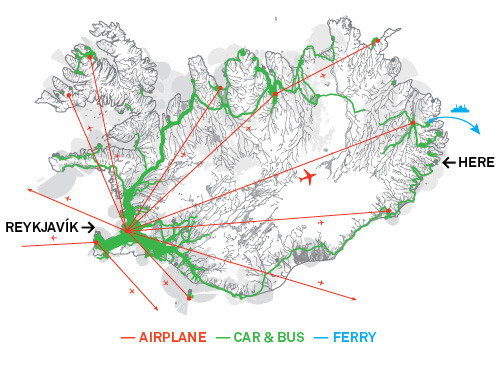 If you plan on hiring a car we recommend you to take the south route, Reykjavík – Vík – Höfn – Stöðvarfjörður. We advise you to only consider it as a option during the spring season, from May – September. The weather in Iceland is very unpredictable and during the winter time it can be a very dangerous and difficult trip to undertake.